Ivan Rakitic signed for FC Barcelona in the summer of 2014 and took no time at all to seize a central role in the first team. He’s been a regular starter practically since day one and his stats confirm what a brilliant contribution he has made to the side. In his first two seasons, Rakitic made 51 and 57 official appearances, and he has yet to miss out on a place in the starting XI in competitive games this term. His main role is as one of the cogs in the midfield machine, but he frequently nips up to lend a hand in attack – and that leads to goals like the header he scored on Sunday at San Mamés to secure three points in what is never an easy away fixture. Where the Croatia international particularly seems to excel is at getting the team off the mark when the goals don’t seem to be coming. 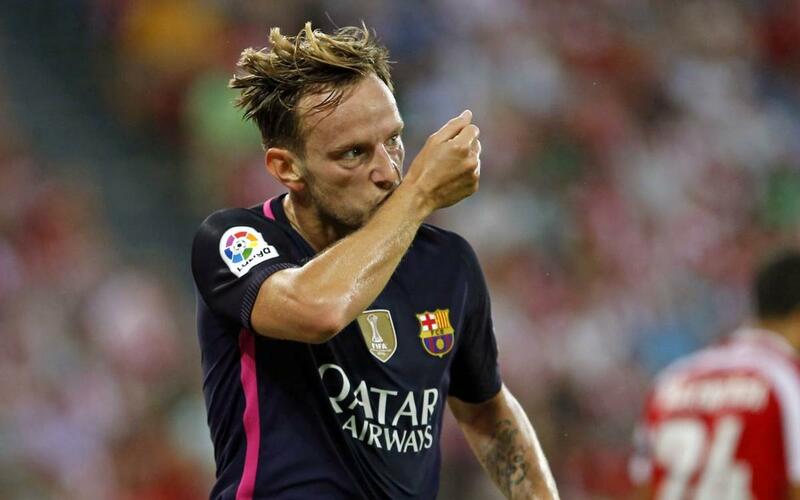 Of the 18 times that Rakitic has scored for Barça, no fewer than ten were the opening goal for the team. And when Rakitic scores, Barça never lose. His goals have come in 15 wins and just two defeats. Particularly memorable openers from the midfield maestro were those in his first season against Manchester City in the Champions League round of 16, and against Juventus in the final. Last season, Rakitic beat the trident and everyone else to score first against all of Betis, Rayo Vallecano, Villarreal and Bate Borisov, each time on the road. And his total of nine meant he finished the 2015/16 season as fourth top scorer in the team, topped only by Suárez, Messi and Neymar.